Max Range & The Penetrators released one 45 on their own "Trater" label in May of 1965. The band was based in Kerrville, TX and featured a young Ronnie Leatherman who would later play with the 13th Floor Elevators. The band was also later joined by one Carlton White, a young guitarist influenced by folk and bluegrass. How did you start playing music and what got you interested? 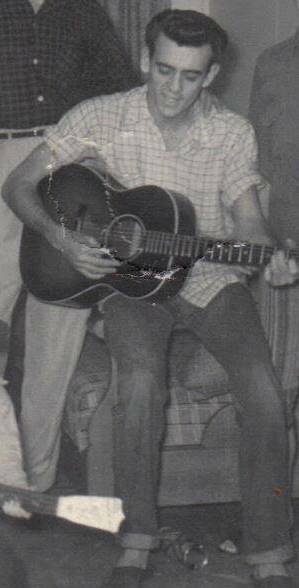 My younger brother Bob and I moved to Kerrville around 1960. I played freshman football, was injured, and needed something to do. The real catalyst was a guy named Danny Klein that lived down the street from us. Danny's uncle played steel guitar in a western band and taught Danny how to play. 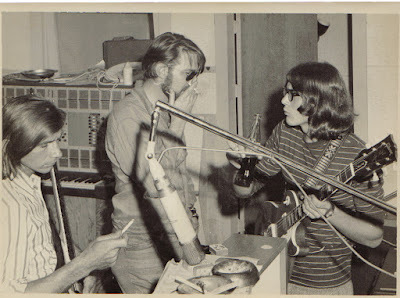 Bob, Danny, and I became good friends and started practicing. Bob and I had moved to a place out in the country so we had a good place to practice. Not many people around which was good as we were pretty bad at first. Danny taught me how to play rhythm guitar and Bob taught himself to play drums by listening to Ventures records. Ronnie Leatherman showed up saying he would learn to play bass and he did. Max didn't show up until the very end of the band. 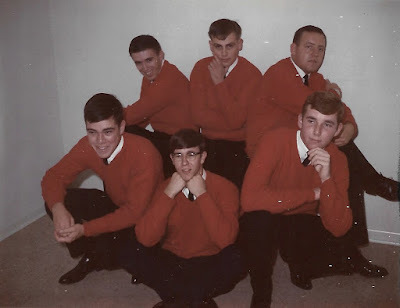 Did you play in any bands before the Penetrators? When and how did the Penetrators band form? 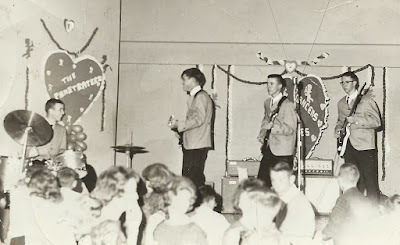 I guess it must have been 1961 or 1962 we learned to play well enough and had learned enough songs to actually perform. We played anywhere they would let us play and gradually improved. The four of us had wanted to create a band from the first time we played our instruments. Where did the bands name come from? We played a lot of instrumentals at first and Penetration by the Pyramids was one of the first songs we learned. Only name we could agree on. Who were the band members and what instruments did they play in the group? 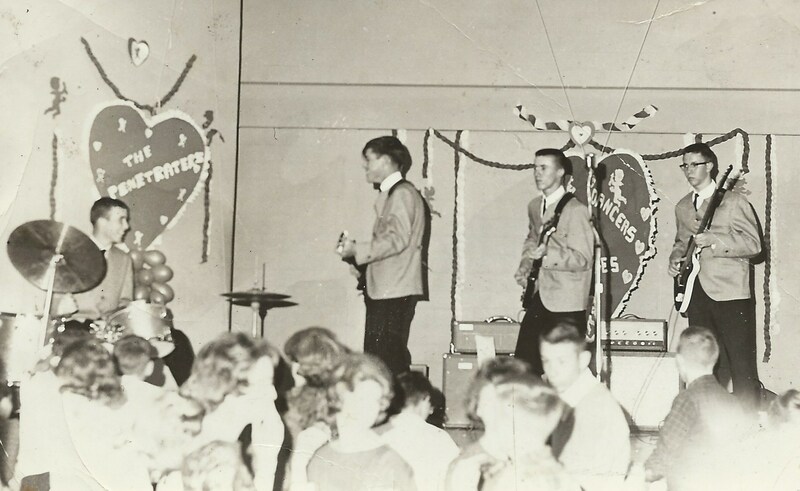 My younger brother Bob Morrison played the drums, Danny Klein played lead guitar and sang a few songs. I played rhythm guitar and Ronnie Leatherman played bass and backed up Danny with some of the singing. Max was brought on just to record the record as I recall. What were some of the regular venues the band would perform at? Did the band play outside of Kerrville much? One of our regular jobs was to play on weekends at a teen canteen called the Auld Youth Center... 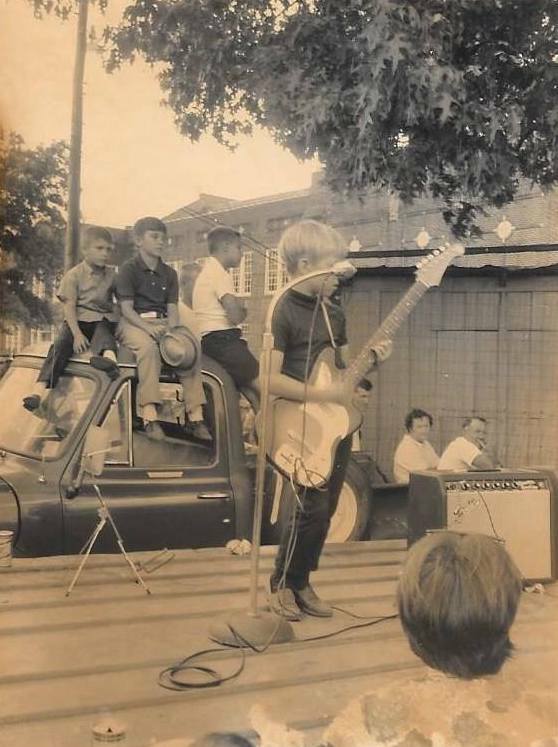 Played at quite a few birthday parties in Kerrville. 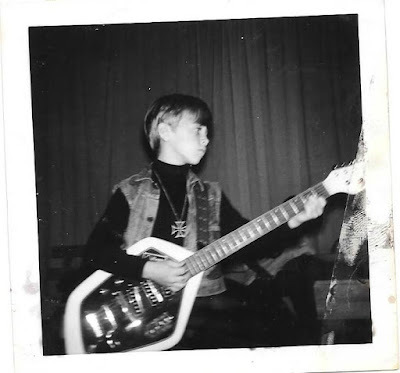 Danny learned to play steel guitar from his uncle as well as some basic polkas so we were able to play at places other than rock venues. Criders was a country and western hangout on the river past Ingram Texas and we played there several times. Big dance floor and lots of beer. We would play some country and a few polkas and then slow songs they could dance to. We were a little nervous the first time we played there since we didn't usually play country and western for an adult audience but it went well. One of the best places we played was at a girls camps located around Hunt Texas. A couple of times during the summer the girls camp would invite one of the boys camps in the area to a dance and we would provide the music. We did that a couple of summers. We played a couple of German wedding receptions in Fredericksburg. Lots of country as well as polkas. There was always a lot of beer for the crowd so we were usually pretty popular. We played in a couple of "Battle of the Bands" in San Antonio that were sponsored by KTSA (the AM rock station in San Antonio). "Big Bearded Bruce Hathaway" would DJ the whole thing. Hathaway was and still is somewhat of a celebrity in San Antonio. We met Doug Sahm as well as Augie Pruneda. Doug Sahm went on to record "She's About a Mover" and had some national success. Pruneda was a member of Sahm's band I think. How did you come to make that record you guys made? I think Max put us up to it. We paid and he sang. 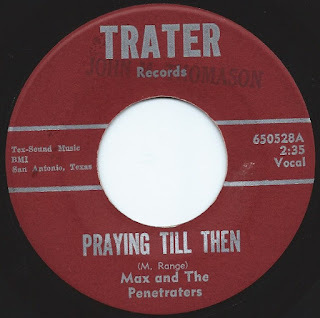 When it was finished it was not the Penetrators it was Max and the Penetrators. I think there were about 200 copies pressed. There was no formal distribution but we got some airplay with KTSA in San Antonio and the radio station in Kerrville. Did you guys have much of a connection to the guys from the 13th Floor Elevators? I know Ronnie Leatherman played with them later on. 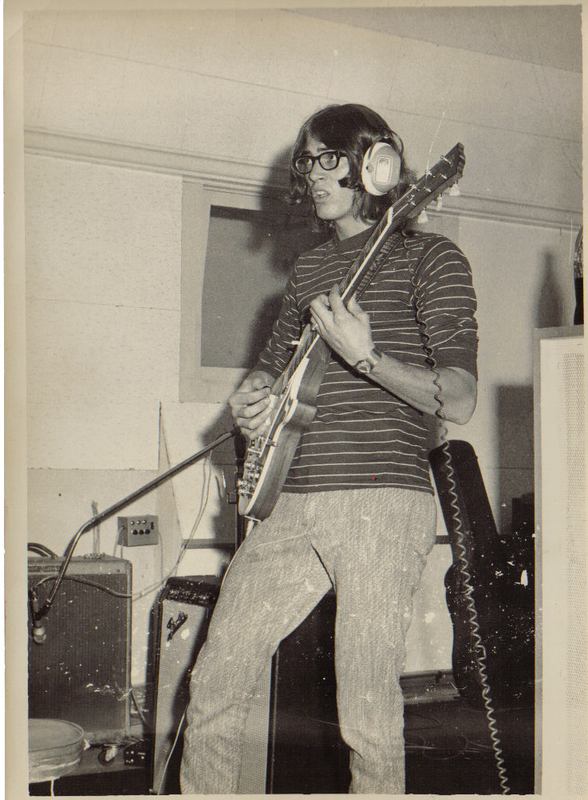 I have read that Max Range was an early member of the Elevators and helped to start the band. I think he had a connection with one of the early members of the Elevators. Stacie Sutherland was a classmate of mine and a good friend. He was a good guy and very talented. Stacie liked drugs a LOT. As he moved more and more into drugs we grew farther apart as the Penetrators were more into beer and cigarettes. And yes Ronnie played with the Elevators. I looked on You Tube for the Elevators and Stacie and Ronnie were right there in one of the videos. That was the infamous interview when one of the band members was asked who the head guy was and he responded "We're all heads." Perfect. Were there any other local rock bands from Kerrville during that time that you recall? No. There were several country and western bands in the area. Bob Schmerbeck had a dance band that he started and played piano for. The band broke up when we started to leave for college. I think that they played for a while after I left, but not for long. 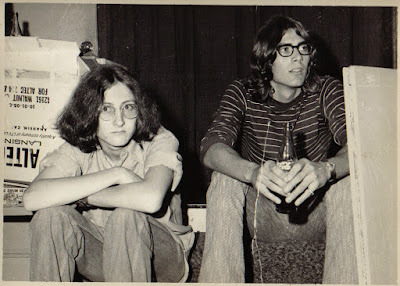 Bob and I went to college. Ronnie played bass for the Elevators and I think Danny joined his uncles band. Thanks to Pat Morrison and John Thomason! This post is the first of hopefully many posts on bands from Louisiana. Got a few great entries on the way, so keep checking! 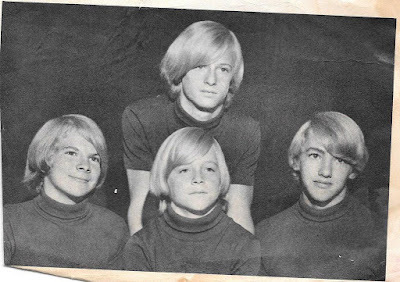 The Little Bits released one of my favorite pre-teenaged proto punk records from the 1960's on their own Tiger Eye records label. Featuring two brothers and being from the tiny town of Jennings gives them even more cool points! I was recently in touch with original band member Kim Roy. 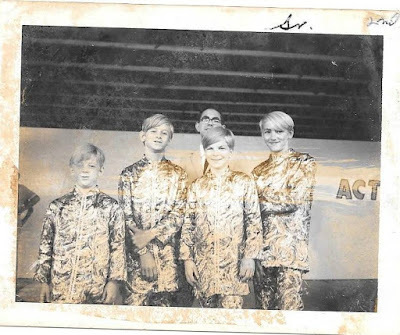 Below is an interview we conducted over email regarding those early days in his first band. 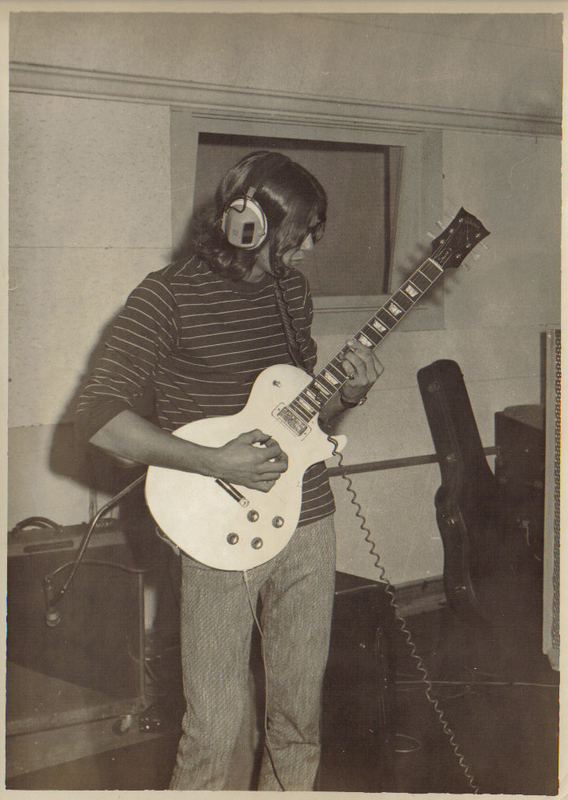 My father, J. D. Roy was an aspiring recording artist who encouraged my brother and I to play music. 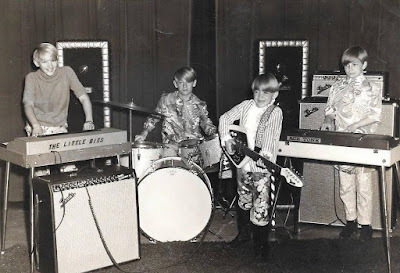 How and when did The Little Bits come together as a band? In 1967. 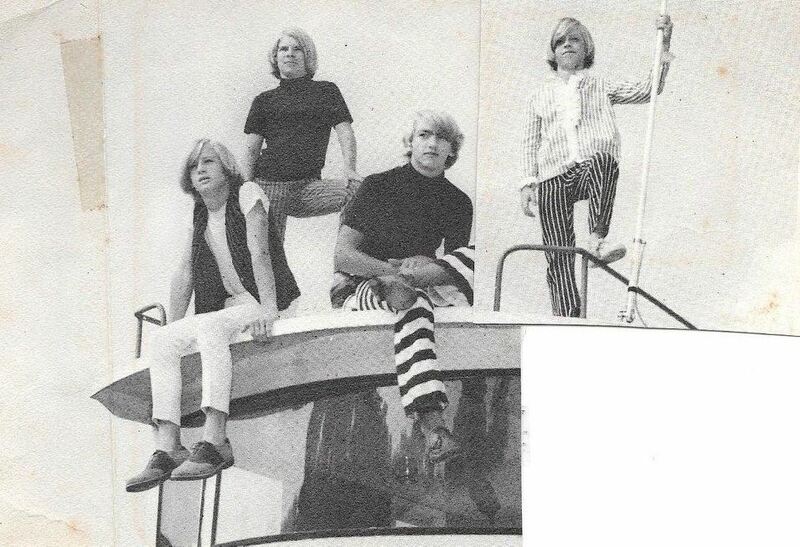 My dad gathered me, my brother Keith and Marty Bonin, the younger brother of an older local band member called Luv Creek, and had a few local musicians teach us songs to play. Who were the members and what instruments did they handle? What ages were you at the time? All members from Jennings? 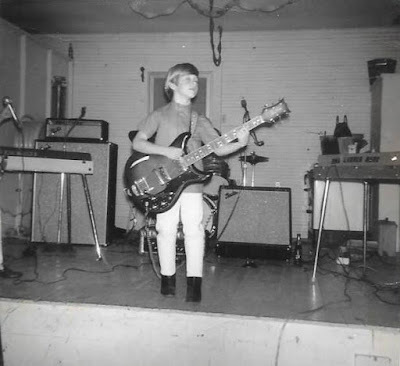 What was it like being in a rock band in such a tiny town at that time? It was cool to have an income at that age. We drew a lot of attention because we were 4 boys with long blonde hair. We gigged most weekends at community center dances, festivals, etc. Once at a fraternity party. 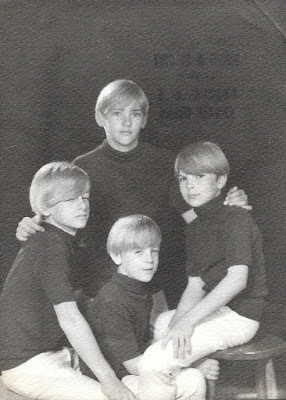 What was your father's role in the band and did he have his own musical history? He was the band manager/driver/producer/songwriter/booking agent. 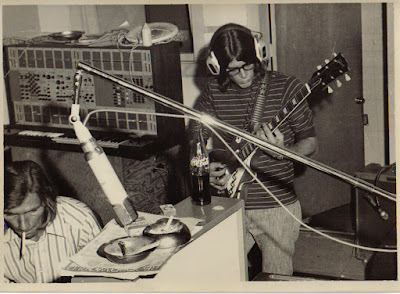 He recorded a few records at Muscle Shoals studio. What were some of the bands regular venues to perform at? How did the "Girl Give Me Love" 45 come about and what do you recall about recording it? Who wrote the songs on the record? How was the record received locally? Did it get any airplay or sell well? 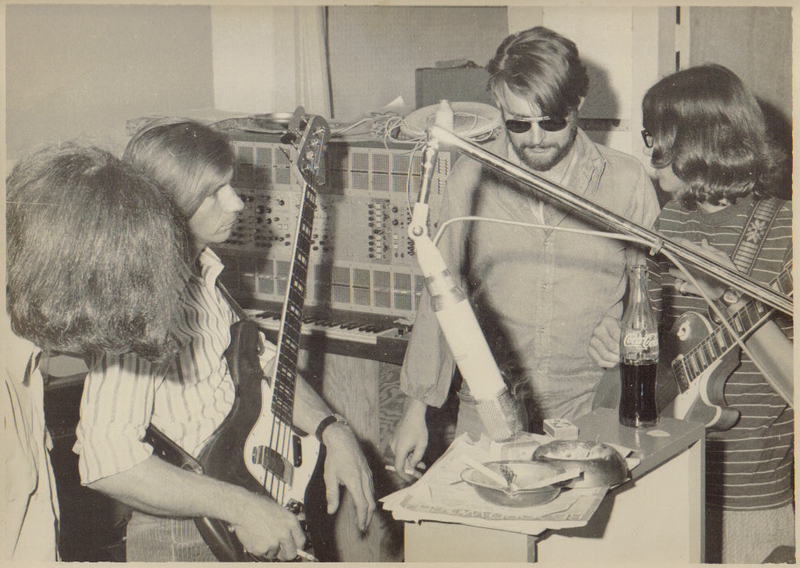 I don't remember but we did have a local radio station KJEF that probably played it. When and why did the group split up? We grew up and changed the name to Featherstone and stayed together for a couple of years with that name and fast forward to the 70s my brother and I formed a band called Kingdom. We moved to Houston in 1975 and played locally and toured around the United States for 10 years. 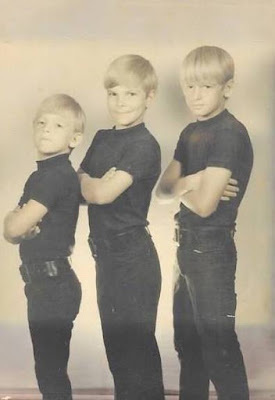 I left the band to form a Christian rock band called Wisdom who scored a record deal in California and also toured around the United States for about 5 years. 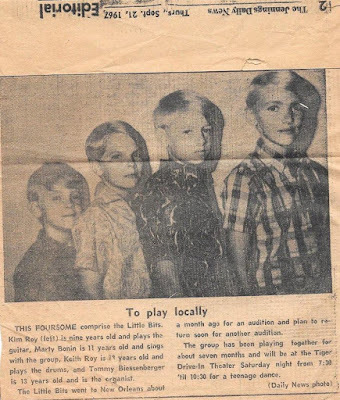 After realizing we could not make a real living playing music we went our separate ways, got real jobs and started families. Kingdom reunited a few years ago with 2 original members and recorded a cd and a video. The video can be seen on youtube. Kingdom Silent Witness. A few months back, I got in touch with singer/songwriter David Waldon who was the brainchild behind an excellent hard rock band from East Texas called Kanaan. The project only released one 45 rpm record on their own Kana label, of which the blistering "Leave It" was recently featured on volume 4 of a compilation series called Brown Acid. Below is an email interview conducted with David in August of 2017. 1. How and when did you get started playing music? 2. Did you play in any bands before making the Kanaan record? 3. Was Kanaan a working live band or more of a studio project? 4. What were some musical influences/inspirations on you at the time? I was a huge Beatles fan....But by the end of the summer of '67 I was into Jimi Hendrix, The Spencer Davis Group, The Buckinghams, Sly and The Family Stone, The Who and pretty much any group with a rebellious attitude and amps loud enough to bother the deaf! 5. What can you tell me about the writing of the two songs on the Kanaan 45? 6. What do you recall about the recording of those two songs? 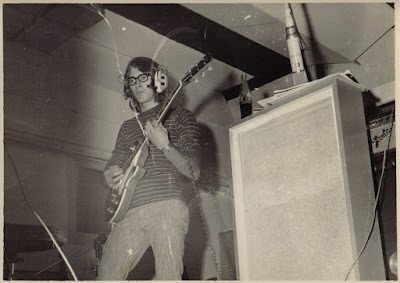 7. Who were the musicians on those recordings and what did they play? 8. Did you have much more original material at the time? Any unreleased recordings from this period? 9. How did the record do locally? Did you have it available for sale anywhere? Any radio airplay for it? 10. Did you play in any bands after Kanaan? In '06 I got a call from a guy in Pennsylvania who had found my record at a record show in Baltimore...Wanted to buy copies if I had them....Last year a guy in California had come across it and wanted to put it on a compilation album in L.A.....They did....It's the lead off track on an album called "Brown Acid, The Fourth Trip"......Then I heard from a guy in London England, another guy in Paris France, someone in Japan, a guy in Russia of all places and another guy in Athens Greece! Thank you so much for your time David Waldon! Photos and interview courtesy of David.